Master Cleaners offers absolute pet stain and odour removal services to clean your carpets and upholstery in Gladstone Park. 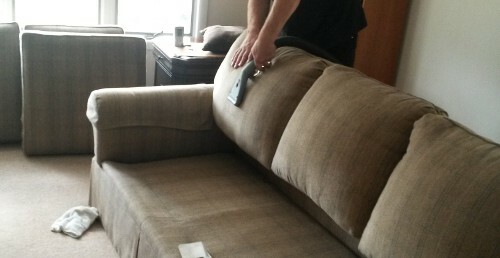 We are expert in Pet Stain and Odour Removal Gladstone Park from your carpet, duct or upholstery. Get rid of bad odour – sanitizing deodorizing included. Pets mostly get to stay in the house more often and our love for them does not encourage them to limit themselves to garage or backyard only. But when our pets enter our house, they are bound to bring in some dirt from the outside – staining that favorite carpet or spoiling that white couch! 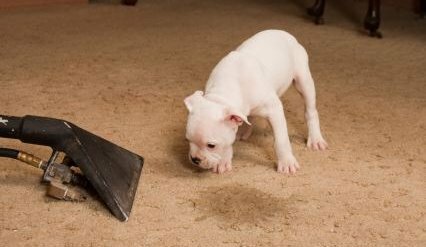 Moreover, pets very often urinate on the carpet/upholstery no matter how much training you have provided. This happens regularly in homes with pets. Even if you as a human being are unable to smell the odour, pets know their spots and once they make a spot they return to it again and again to do their business unless the smell is gone completely. Does that mean you should not play with your pets inside the home? Or should you keep them restricted to the outside of the home? Well, no! You can have them inside and still keep your home clean and odour-free by using pet stain and odour removal services from Master Cleaners. We guarantee that your pet stain and odour problems will be resolved completely with our finest range of cleaning services. Master Cleaners are equipped with the right technology and tools to virtually remove any stains from your carpet and upholstery. Our cleaners are trained and have hands-on experience of over 20 years in removing tough, tougher, and toughest stains from valuable upholstery and expensive carpets for our clients in Gladstone Park. You might be able to get rid of minor stains at home but some stubborn stains require technical expertise and powerful cleaning solutions. We have just the right combination to make you win the battle against PET STAINS! Our trained cleaners at Master Cleaners Gladstone Park use black light technology to determine all the pet stains. After that, they evaluate the different sources and extent of the pet odour. Most of the urine crystals are removed from the carpet and upholstery by using hot water extraction method. In this, hot water with high pressure is injected onto the carpet/upholstery along with a strong cleaning solution and then everything is extracted using a vacuum system. In some cases, we have to pull back the carpet to see the severity of the damage caused. Our cleaners will even remove and replace the carpet pads if required. If urine has gone through the sub-floor, they will clean it and a sealer application will be done to protect it. In case of pervasive odour, we use anti-microbial solution to eliminate it. Master Cleaners is equipped with the latest steam cleaning tools and bio-friendly solvents to get rid of the dangerous bacteria from your carpets/upholstery that comes along with the dust your pets bring in. We also sanitize the affected areas so that you can stay in your home relaxed and protected from any infectious problems. Master Cleaners is a trusted name in the cleaning industry and our track record of over 20 years gives us the additional advantage; making our services the first choice of thousands of customers throughout Gladstone Park. We value each of our customers and our commitment is reflected in the work we do. We offer nothing but the best cleaning service to get rid of all unwanted pet stains and odor from your place. We have flexible working hours so that you can call us anytime as per your availability. We are fully aware of the fact that pet stains and odour removal service is incomplete before the carpet/upholstery dries. So we make sure to keep a check once the drying process is done and we also perform further treatments if we do not find the stains/odour gone in one application. We have produced special cleaning solutions to deal with pet urine and other pet odour. Also, we have a stock of weapons required to fight against so that you and your guests can have enjoy too staying inside the home along with your pets. If you are looking for professional help for pet stain and odour removal from your carpets and upholstery then expert experienced service is just a call away. You can call us and speak to one of our customer care representatives to ask for assistance. Our executives are more than happy to help you and resolve all your queries and make an appointment with our certified cleaners. Also, you can just fill up the contact us form and our executives will give you a call back shortly after receiving your email!